Orlando, Fla. -- Bottled Ocean today announced the launch of the Modular Reef System, an innovative series of manufactured reef structures that unlike reef and rock formations in most large aquariums, can easily be floated, submerged and moved at will. AZA Commercial Member Zier Niemann Consulting is delighted to announce a platform for the zoos and aquariums using Tracks Software to be able to share animal holdings with the AZA-accredited community. A new web site - Animal Data Sharing - was developed by Zier Niemann Consulting to facilitate shared animal data in the zoo and aquarium community. PGAV Destinations Project Manager Emily Pelcak has been promoted to Director of Practice and Innovation at the St. Louis-based design firm. Oakland, CA – Critically endangered tadpoles emergency evacuated from the high Sierra and transported to Oakland Zoo and San Francisco Zoo have successfully morphed into healthy mountain yellow-legged frogs. The precious cargo, carefully collected by National Park Service biologists in August, was airlifted from remote locations in Sequoia and Kings Canyon National Parks. SAINT LOUIS, MO—Inspired by recent trends in gamification and social media, loyalty programs are on the rise in nonprofit organizations seeking to build long-term relationships with visitors, donors, and members. Nonprofit organizations such as museums, zoos, aquariums, and conservation organizations have struggled with capturing the visitor and user data necessary for marketing membership and cultivating donors. Programs that reward patrons for loyalty are quickly becoming a critical differentiator and facilitator in accomplishing these goals. 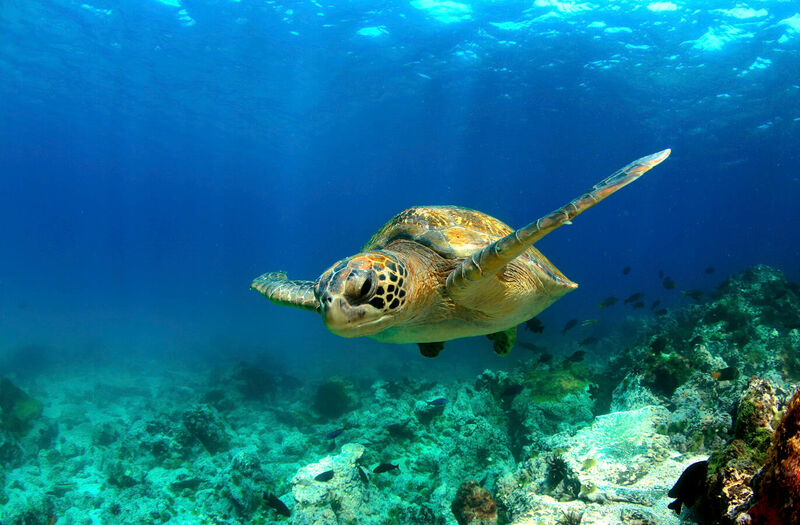 Tracks Software recently donated a software license to the Turtle Survival Alliance, a global partnership committed to zero turtle extinctions in the 21st century. EATONVILLE, Wash. – Alan Varsik, a learn-from-the-ground-up administrator who has cared for animals and tended to a zillion details involved in running a big zoo, is the new Deputy Director at Northwest Trek Wildlife Park. TACOMA, Wash. - Karen Povey, a 17-year employee at Point Defiance Zoo & Aquarium who helped pioneer educational live-animal presentations at Wild Wonders Outdoor Theater, is the zoo’s new Education Curator. Columbia, SC – Riverbanks Zoo and Garden plans to transfer three members of its western lowland gorilla troop to Houston Zoo in Texas as part of the Association of Zoos and Aquariums’ (AZA) Species Survival Plan (SSP). The move will make room for the arrival of a family troop at Riverbanks for the potential of breeding. The piglets weighed in at 5, 6 and 7 pounds at their one week check-up. They currently sport a striped brown and black coat, which will become a reddish brown color as they grow into adulthood. Their coloration helps them camouflage with the dappled sunlight that would come through the forest canopy. Sanford, N.C. — Pentair Aquatic Eco-Systems (Canada), Inc.announced today it has acquired PR Aqua Supplies Ltd., a leading aquaculturedesign and equipment provider based in Nanaimo, BC, Canada. Walker, Minn. – In conjunction with our 2014 national Capitol Christmas Tree, Next Innovations was selected to produce 1,000 artistic quality vibrant color-infused steel tree ornaments. The ornaments will be used to help raise donations to off-set expenses related to the tree’s placement on the Capitol Mall in Washington DC. Toledo, Ohio – The 2.1-MW Anthony Wayne Solar Array, a brownfield site now providing electricity to the Toledo Zoo, has been honored with national recognition as Solar Builder magazine’s Project of 2014 in the ground-mount category. Developed, designed and constructed by GEM Energy, of the Rudolph/Libbe Companies, the project garnered 30 percent of the public votes among six finalists in the ground-mount category. Reid Park Zoo Welcomes a Female African Elephant Calf! Reid Park Zoo is thrilled to announce that Semba, a 24-year old African Elephant, successfully delivered a female calf on August 20th, 2014. The calf hit the ground at exactly 10:55pm, took a first breath immediately, stood up within minutes, and began to nurse within the hour. The calf weighed 245lbs at birth and is gaining weight steadily. Calling future animal keepers and vets! Come play, learn and dream in the new permanent exhibit, “Wild & Well,” that opened June 21 at the Virginia Living Museum, Newport News. Blue-eyed lemurs are one of the twenty-five most endangered primates in the world. Currently, there are only twenty-eight lemurs of this kind living in captivity in the United States. Oakland Zoo is one of eleven zoos in the United States to have the species and acquired seventeen-year-old “Dern” on a breeding recommendation from the Association of Zoos and Aquariums’ Species Survival Plan (AZA/SSP). Oakland, CA – Oakland Zoo’s oldest giraffe, Tiki, is celebrating her 25thbirthday today. Twenty-five is equivalent to age eighty-five in human years. In honor of the momentous occasion, Zookeepers Amy Phelps and Jessica Porterfield threw a private party for Tiki, treating her to special carrot and banana flavored cupcakes that were donated by JAMES & the GIANT CUPCAKE in Oakland. The cupcakes were served to her on a platter garnished with lettuce and edible flowers. Oakland, CA – On Thursday, May 1, 2014 at approximately 11:00am, a California condor arrived at Oakland Zoo for treatment of lead poisoning in the Steve and Jackie Kane Condor Recovery Center. She is the first condor to be treated at Oakland Zoo. “While we never like to see sick or lead poisoned birds, today is really a fantastic day for Oakland Zoo because the zoo’s Condor Care Team is now able to put their skills and special training into helping save this magnificent bird,” said Dr. Andrea Goodnight, Associate Veterinarian at Oakland Zoo. Big Sur, CA – On Tuesday, March 25, 2014, at 10:00 a.m. Pacific Standard time, four California condors will be released into the wild for the first time by Ventana Wildlife Society biologists. Wildlife enthusiasts have three opportunities to explore the diverse Amazon Basin with renowned zoology and conservation experts on International Expeditions’ summer 2014 Amazon River cruises. Known for its focus on environmental education, IE departures will also be accompanied by two native naturalists and an expedition leader who all provide lectures and field interpretation during immersive daily excursions. These Big Cats are in crisis, facing increased conservation issues each year as humans encroach further into their habitat. Speaker Zara McDonald, Founder and Director, of Felidae Conservation Fund and Bay Area Puma Project will highlight where in the Bay Area the pumas have been found, how they are being tracked, and why the human versus wildlife conflict has become a hot button topic in California. Ms. McDonald will captivate cat lovers with video clips that show viewers the similarities between Big Cat behaviors and those of domestic cats. This is the fifth sloth born at the Ellen Trout Zoo to this set of parents. Young sloths are cared for by the dam (female) although sometimes they are observed on the sire (male). They have been observed to start eating small amounts solid food as early as three days old, picking up and consuming bits that the dam drops on herself while eating. CARLSBAD -- With their little colony dwindling away -- there were just three of the original residents left -- the Prairie Dog Village at Living Desert Zoo and Gardens State Park was ready to receive the immigrants. There are 24 of the new rodents, and they arrived here in October, said Holly Payne, head curator at the Living Desert.